Practical and stylish, Z-Lite™ Roller blinds provide exceptional light control which combines sheer and opaque fabrics in one blind, to create a wonderful eye-catching effect. 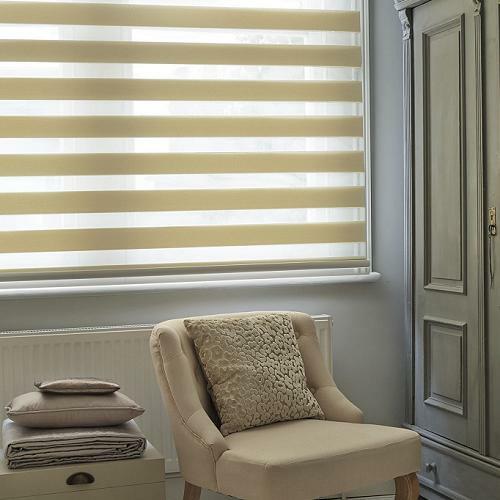 Z-Lite™ blinds are made from fabric which combines both sheer and opaque stripes, operating together to create the ultimate light controlling option..
Why choose Aspen Z-lite™ Roller blinds? Headrails and bottom rails are available in white or black.